Fall is the time of year to sit back, relax, and get cooking! There are so many different flavors that the season brings out, it’s impossible to name them all. It is possible however, to list some of these recipes in an easy, convenient article for Fall enthusiasts to mull over and pick out a new favorite. Look below for some tasty ideas on Autumnal Equinox celebratory food. If you enjoy baked goods you’ll love these cupcakes. As an appreciator of cinnamon these are certainly well worth your time to make. And the cream filling makes for an incredible treat that anyone can enjoy. Serve with milk or cider to complete the dessert. Nothing like warm seasonal cupcakes after dinner. For the ultimate seasonal drink go for cinnamon sangria! 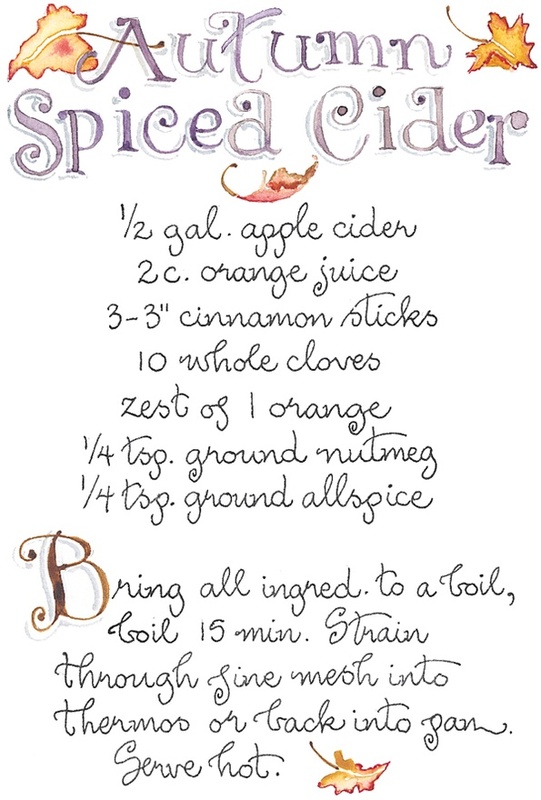 This relatively easy drink can be enjoyed by any Fall enthusiast for a warming, comforting beverage. Get the recipe drink or scroll below. Simply combine all the ingredients together and refrigerate. The refreshing drink of choice can be the cocktail for any autumn adventure. Here’s another drink for Autumn lovers that’s sure to warm you up on a cooler day. This one is more G-rated for those with children and fall kids’ parties. However it still mixes quite well with your favorite bourbon if you so desire. There’s no better way to reap the benefits of the harvest than with homemade apple butter. Contrary to popular belief, there is no actual butter in this delicious spread. It’s a great compliment to bread, pumpkin bread, or just placed into mason jars as a gift. Check out the recipe here. There’s no wrong way to enjoy apple butter. For vegan Fall enthusiasts, why not look into poached pairs using maple cinnamon mascarpone? This delectable treat doesn't just taste amazing, it’s also incredibly healthy for you. Get the recipe from this site for a special snack. The Autumnal Equinox is a special time of year that can be celebrated with incredible foods, drinks, and desserts. This list can help give you a better idea of what recipes are out there, and feel free to make your own variation on any item in the list. Complement the edibles with Fall decor to complete the atmosphere. And have a happy Fall.